March 24, 2014 Crumar Switch Pedal now available! This is a very sought-after accessory that we wanted to add to our catalogue and now here it is! 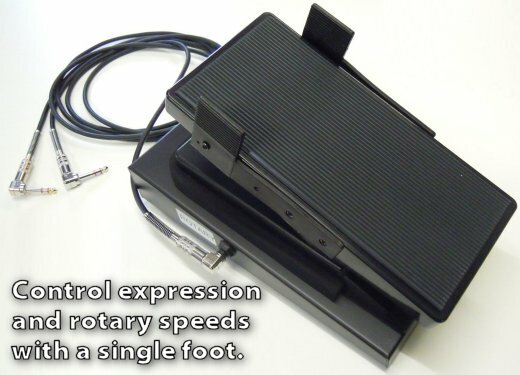 This pedal perfectly fits your organ setup, it's ideal for playing organ or keyboards when sit on a bench or on a stool. Thanks to the integrated switches you can control the speed of a rotary effect completely hands-free. Built of solid platic and with a large and steady metal base. Two TRS long cables (included) can be plugged on it and in your Mojo (or other keyboards if compatible). Click the image to know more. Buy it now by visiting the PURCHASE page.